Oliver Swain has been a celebrated musician for years, held in high regard in acoustic and folk music styles for both his astonishing instrumental and vocal abilities, though he seldom gives the genre a fully traditional treatment. Oliver Swain strays towards the whimsical, the spiritual, and the socially conscious side of what he likes to refer to as “chamber folk odyssey”, and it’s these beguiling and provocative elements that make him unique as an artist and songwriter. Devon Leger even called him “The Zen Rock Garden of old time music” No Depression. 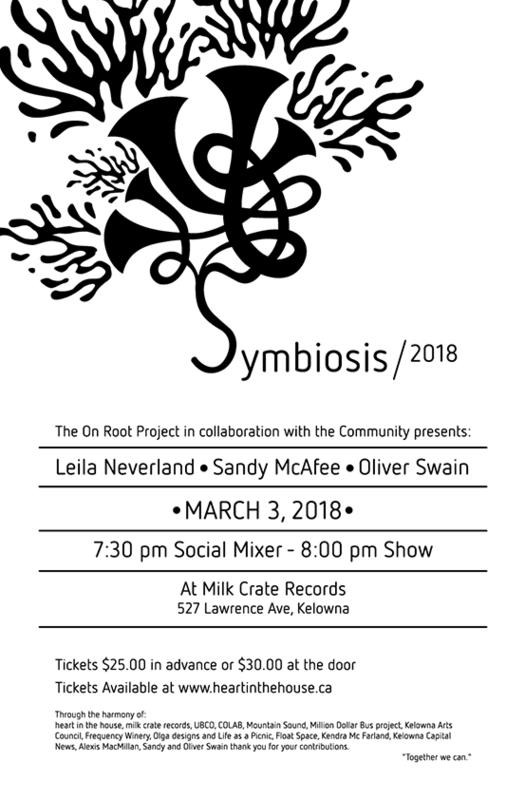 As the last Artist to participate in the On Root Project in the summer of 2017, Oliver helped to create a hugely successful community concert event. He is currently working to present Victoria's Django Festival 2018. Milkcrate Records opened for the first time on Record Store Day in April, 2012. It’s always been our dream to create the ultimate music store here in Kelowna. A community hub for musicians and music lovers to gather around their shared passion: great music!